JANTES EN ALLIAGES, SIÈGES CHAUFFANTS, BLUETOOTH, CONTROLES AUDIO AU VOLANT, GROUPE ÉLECTRIQUE, CLIMATISEUR, RÉGULATEUR DE VITESSE, MIROIRS CHAUFFANT, CAMÉRA DE RECUL. , JAMAIS ACCIDENTÉ, FICHE D'ENTRETIEN COMPLÈTE. 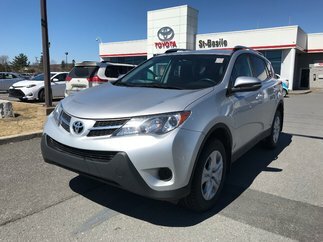 INSPECTION AVEC RAPPORT DE CONDITION POUR TOUT NOS VÉHICULES USAGÉS. CARPROOF ACCESSIBLE DIRECTEMENT VIA NOS ANNONCES. GARANTIE PROLONGÉE DISPONIBLE. LA MEILLEUR ALLOCATION POUR VOTRE ÉCHANGE. TOUTES LES MARQUES DISPONIBLES. 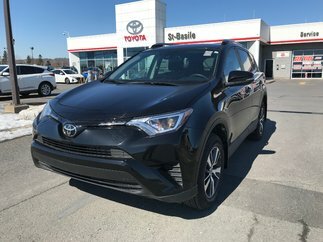 ÉCONOMISEZ PLUS AVEC ST-BASILE TOYOTA, VOTRE CONCESSIONAIRE DE LA RIVE-SUD DE MONTRÉAL. FINANCEMENT FACILE ET CRÉDIT SUR PLACE. 2e CHANCE AU CRÉDIT DISPONIBLE.